In the digital era, business moves faster than ever and your organisation needs to move with it. But with no tried-and-tested path to transformation, it’s a daunting challenge for any business - with today’s most advanced capabilities often seemingly out of reach for those who have not invested in building the foundations for a digital business. We can help ignite change and momentum in your enterprise - shaping your people, processes and business model to reduce costs and drive innovation. 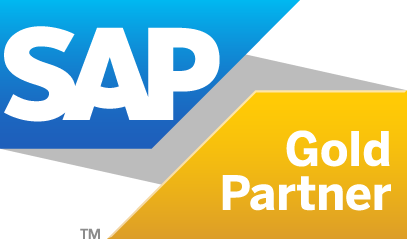 For businesses running SAP’s ERP suite, the clock is ticking. From 2025, support for SAP ERP will cease, and all future SAP systems will be built to run on its new flagship S/4HANA platform. While SAP S/4HANA offers exciting opportunities for organisations looking to become more digitised, migration undeniably represents a huge challenge. But with the deadline now looming, it’s a challenge that must be embraced as soon as possible - and we can help you manage the whole transition. Increasingly, technology is the differentiator between business success and failure. Early adopters of technologies like blockchain, IoT, Artificial Intelligence and machine learning are pushing further ahead, while most businesses simply don’t have enough of a grasp of these intelligent technologies to exploit them. We can help you understand the opportunities to introduce the best practices within SAP S/4 HANA to standardise key operational areas of your business, while leveraging disruptive technologies to innovate in those areas that can help you differentiate. Our Active 7 methodology encourages a holistic approach to transformation projects, right from the outset of the journey. Seven streams of thinking look not just at the application of technology, but at your people, your culture and more. We’ll assess your current state, internal constraints and define exactly what it is what you want to achieve with the aim of contextualising the challenge - in other words, is this a complete business transformation or a technical migration? Crucially, we’ll ensure you’re asking the right questions - always evaluating if the project being proposed will lead to the business outcomes you seek. Stage two of our engagement involves turning your vision into something more tangible - developing a plan that includes key elements such as your desired target operating model. We’ll also want to ensure we have the right people involved in the project, who are strategically important to your organisation. As part of this work, we’ll introduce you to our framework methodology ‘Chrysalis’ - which combines the four key components of technology, vision and transformation, consolidation and business change. Recognising the potential minefield that is the continually evolving SAP landscape, we’ll work with you to understand and identify the right technologies for your business, helping you connect your business strategy with the SAP (and non-SAP) suite of tools. We’ll help you identify where you should adopt standard systems to automate processes and increase efficiencies, where to move away from on-premise applications and where to embrace innovation. We’ll help you exploit SAP’s IoT solutions like Connective Assets, SaaS procurement systems like Ariba and FieldGlass and CX solutions like C/4 HANA - among the plethora of new technologies bringing opportunities for business improvement. At AgilityWorks, we see digital transformation as much more than an IT project. Our holistic approach encourages the adoption of standardised procedures across your business, to provide a platform for innovation. When you’re committing to digital change, you can’t rely on a consultancy that’s standing still. Just as you know you need to change, so do we - with our agile approach allowing us to innovate and evolve our consulting model, providing the support you need in a rapidly changing SAP ecosystem. We don’t believe in change for change’s sake - in our world, smart application of technology should always produce a tangible business outcome. We bring your business and IT together as one, ensuring everything we do provides improvement for your business processes.